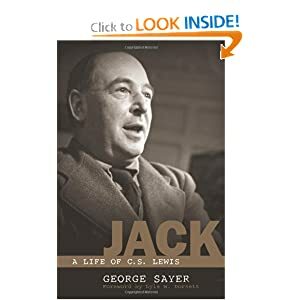 According to Wikipedia, “at the age of four, shortly after his dog Jacksie was killed by a car, he (CS Lewis) announced that his name was now Jacksie. At first, he would answer to no other name, but later accepted Jack, the name by which he was known to friends and family for the rest of his life.” This vignette intrigues me, as I continue to prepare for my upcoming Talkback. My contention is that CS Lewis and Freud are each representing different aspects of their own belief systems. In essence, they agree with each other, they maintain conflicting opinions, but, for the purposes of a writing career, for the purpose of establishing a place in history, they articulate only one side of the argument about G-d, sexuality and the meaning of life. Given that point of view, I take from CS Lewis, insisting on being called the name of his suddenly deceased dog, is a way in which he lives out his belief that death is not permanent, so long as someone keeps your memory alive. So much of the discussion about the meaning of life, stems from one’s view of death. If death is final, then fear might ensue. If death is one step on a longer journey, then perhaps one can relax into life. If CS Lewis could think about his dog every day, as he is called by his dog’s name every day, then Jacksie is still alive, yet in a different way then before he was hit by a car. As February represents a month of memories for me, of a particular person that I was close to, who is no longer with us (or me), I, too, am aware of how important it is to keep the discussion, and hence the person, long away from our living world, alive in a way which still has meaning for me. I imagine telling others to now call me by the deceased person’s name. I can feel how special this would make me feel. I can feel that I was not just living my life, but theirs as well. The name would represent a “containment” as Winnicott would say. In this “containment” there is peace. CS Lewis, Jack, was on to something psychoanalytic; a fact he may take issue with. May he rest in peace.